this is not a pop-up, housed in Hollywood’s Square One Dining space, follows a similar concept to the now-defunct Test Kitchen, housing chefs for a short period of time to cook whatever they want. It’s a concept that I really liked then, and enjoy just as much now as it keeps things new and interesting. Evan Funke, of Rustic Canyon fame (and developed one of LA’s most notable burgers) stepped into the restaurant for one night to preview his menu for upcoming Bucato. Bucato, developed in the old Beacon restaurant in the Helms Bakery complex (with Father’s Office and Lukshon), has faced a number of delays (first rumored to open in December). 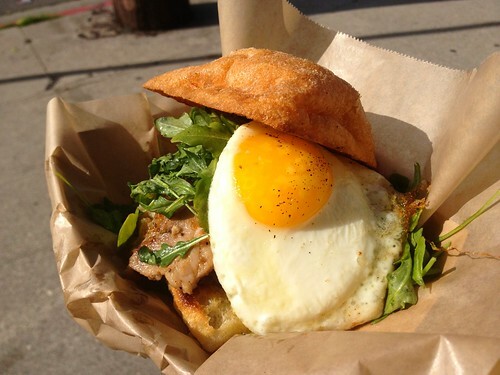 While working on the opening of his Italian restaurant and “pasta laboratorio,” Funke started up a food truck serving only one thing – porchetta sandwiches. I recently tried it and, while not exactly a traditional porchetta, it was delicious. It convinced us to try more of Funke’s food, bringing us to his pop-up menu of eight courses priced at $65. 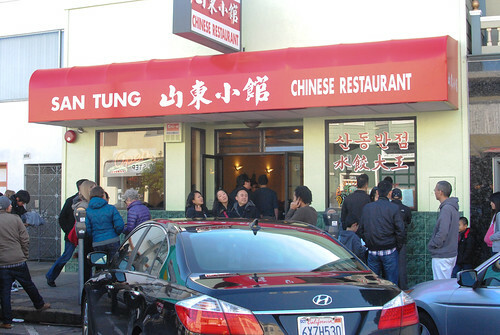 This was one of the restaurants I really wanted to try while I was in San Francisco (probably #1 on my list). 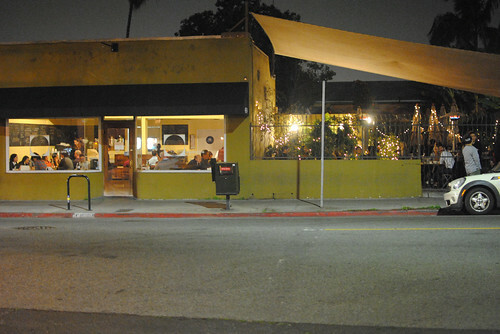 Opened on the last day of 2011, it was named to numerous lists for best new restaurants of the year, including being the number one best new restaurant in America according to Bon Appetit. Stories of hours-long lines (yes, multiple hours) and consistently strong reviews fueled the buzz throughout the year. 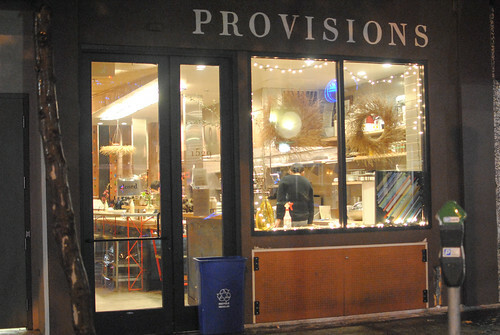 Not surprisingly, reservations are still very difficult to come by, probably one of the most difficult in the city. I checked their website multiple times per day for a couple of weeks, and the best I could do was a party of 2 at 5:30 (looking for any availability over a week span). The day before, some cancellations yielded a 10:30 table for 4; very late, but it allowed our whole family to dine together. 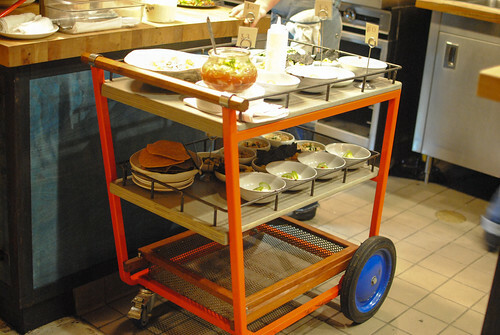 One of the distinctive features of the restaurant is its use of a dim sum-like cart. It’s loaded up with a variety of dishes and pushed through the dining room, letting diners get a glimpse of the dishes before choosing. And, if you don’t see what you want, anything can be ordered off the menu to be directly delivered to your table. 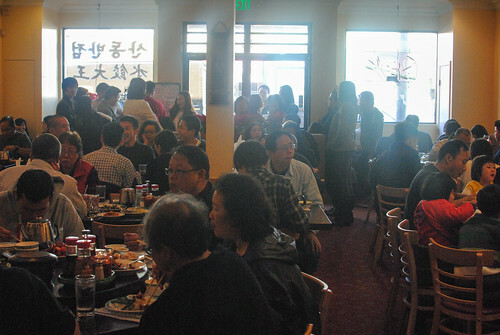 It’s a fun concept that really works with a small plates restaurant, one I would expect to see duplicated…and not just in Chinese restaurants. This past year for my grandmother’s birthday, my cousins and I took her to dinner at Oola in San Francisco’s SOMA neighborhood. It’s a tradition we’ve been doing a number of years now, and something I look forward to each holiday season. 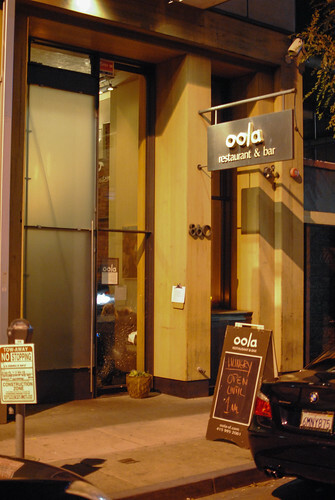 This year, my cousins chose Oola, somewhere they’ve been a number of times and raved about. 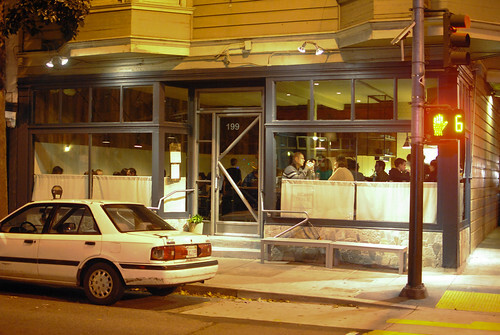 Opened in 2004, the restaurant calls its food “San Francisco cuisine” and a blend of chef Ola Fendert’s Swedish background and French/Italian training. The menu appeared to offer a number of upscale takes on American comfort food classics such as chicken and waffles, burgers, and the restaurant’s signature dish – pork baby back ribs. 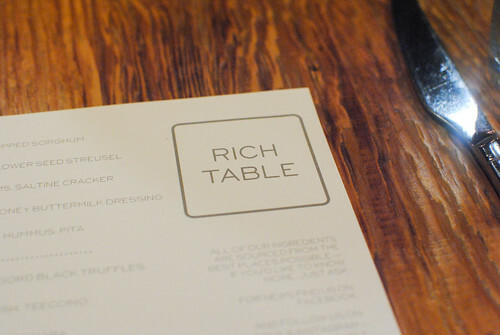 Rich Table was one of San Francisco’s bigger restaurant openings of last year and continues to be one of the hot tables in town. Evan and Sarah Rich are the couple behind the restaurant, whose collective resumes include San Francisco’s Quince, Michael Mina and Coi. Reviews about the restaurant have been very positive, including an impressive 3.5 star review from the SF Chronicle’s Michael Bauer. 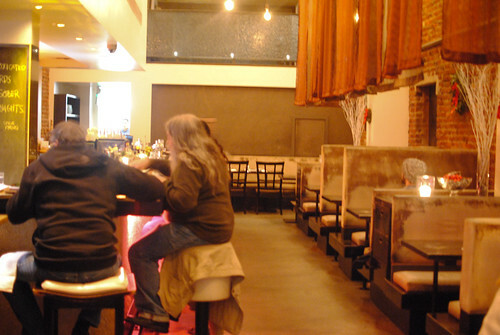 A decision to dine at Rich Table was kind of a last-minute one. While planning to meet with a friend for dinner the day after Christmas, we scrolled through OpenTable openings and Rich Table popped up with an available table. Knowing that we kind of lucked out finding one, we snatched it up. Contrary to what the name of the restaurant may suggest, the food isn’t too rich at all. Of course, ingredients are local and seasonal, and the menu is divided into a number of small ‘bites,’ appetizer plates, pastas and main courses.